The Brihanmumbai Municipal Corporation has been demolishing unauthorised buildings, including residential and commercial structures, along the Tansa water pipeline that runs across nine administrative wards of the city. 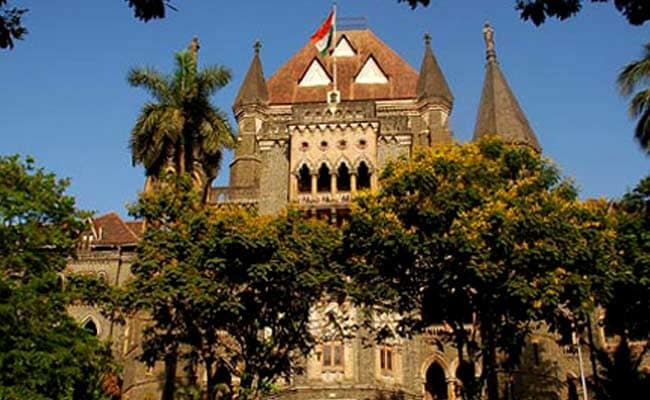 The Bombay High Court Wednesday directed the Maharashtra government to pay Rs 15,000 per month as rent to people who were rendered homeless after their dwellings, located near a key water pipeline here, were demolished. The Brihanmumbai Municipal Corporation (BMC), in compliance with a previous high court order, has been demolishing unauthorised buildings, including residential and commercial structures, along the Tansa water pipeline that runs across nine administrative wards of the city. The government had decided to accommodate the displaced persons in Mahul village in the metropolis' suburbs, but some of them have refused to move there citing high air pollution levels due to oil refineries in nearby areas. As many as 7,000 families have been affected by the ongoing demolition drive and only 225 of them have shifted to Mahul, an industrial area in the eastern part of Mumbai. The affected people had relied on an observation made by the Mumbai bench of the National Green Tribunal about pollution levels in Mahul in a related matter. A division bench of justices A S Oka and M S Sanklecha, in its Wednesday order, noted that the government cannot force any person to live in a polluted area. "Article 21 of the Constitution of India says every citizen has the right to live in a pollution-free area. Project-affected persons have the right to say that they cannot be forced to reside in an area where air pollution is life-threatening," the court said. "As these persons were evicted and if rehabilitation is not done in a correct spirit then it will affect their rights guaranteed under the Indian Constitution," it noted. "As the state government has expressed inability to provide alternate tenements, the only option left is to direct the government to pay the project-affected persons monetary compensation to enable them to find their own accommodation," the judges observed. As per the bench's direction, "The government shall pay each family Rs 15,000 per month along with Rs 45,000 refundable deposit by way of rent for those persons who choose to forfeit their right to a tenement in Mahul." The families will then have a month to vacate their structures after which the BMC shall resume demolition work, the judges said. "A similar practice shall be initiated with those persons who have already started staying in Mahul. These persons shall be given the option to vacate the flats occupied by them and take the rent amount," the court said. The court said the government shall deposit a sum of Rs 1.80 lakh (Rs 15,000 per month for a year) along with the Rs 45,000 deposit in the bank accounts of the project-affected persons (PAPs). "After a year, a sum of Rs 15,000 shall be deposited in these persons'' bank accounts before the fifth of each month," the court directed. It asked the corporation to complete the demolition process by November 30.